Gold and gold rushes changed the world. 19th-century gold rushes attracted many Chinese migrants to seek opportunities around the Pacific. Among their destinations, the Fraser Valley in today’s British Columbia presented unique challenges and opportunities, and shaped the early Chinese Canadian history. 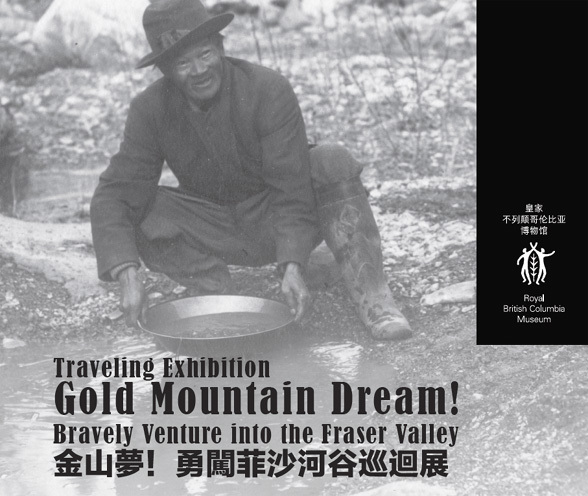 To bring this important yet relatively under-represented British Columbia gold rush story to life, the Royal British Columbia Museum and Archives presents this exhibition Gold Mountain Dream! in partnership with the Province of British Columbia. Gold Mountain Dream! explores the real stories of the first major Chinese migration to today’s Canada within the context of British Columbia, Canada and the trans-Pacific region.